I suppose it’s in our nature to grow tired of eating the same thing every day. Given the choice between eating the same food all day everyday and dying a slow, painful death from starvation, I’ll take repetitive meals. The Israelites, for some reason, felt they deserved better. The Israelites regarded this Manna—this gift from the Almighty God—as worthless. Sometimes our circumstances are the result of our own choices. The Israelites were still eating manna in the wilderness because they refused to enter the Promised Land. In spite of their faithlessness, God remained faithful, providing food, water, and guidance. God does the same for you and me. Thank you for the reblog! God be with you. Amen! Thank you for writing this! I need to hear these truths of God’s gifts. You have put gladness in my heart, more than in the Season that their grain and wine increased. I will both lie down in peace and sleep for You Alone O LORD make me dwell in safety. I noticed the connection after I wrote article. 😊 I love the way God works! I am sorry for my late response. I ‘m also sorry for the return of your PTSD. I struggle with it as well. I am attempting to keep my eyes and thoughts focused on the Lord. It helps me through my battles. I will keep you lifted up in prayer. God bless you. Yes, I was told PTSD never totally goes away. The depression combined with it makes it hard. 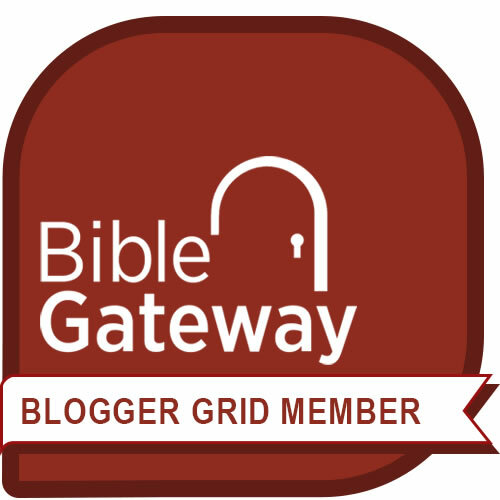 Your blog has been an encouragement to me! Thank you for your prayers and for sharing your story. May the Lord bless you also! I too needed to read this message as I too suffer depression/anxiety/ptsd. I never feel like I am good enough and often avoid Gods Word and prayer. I am seeking meaning. I don’t want to die without making a impact but I have made a lot of bad decisions in my life which snuffs out the good. I carry guilt. Yes, it is hard to wrestle with guilt. Even as a Christian, I have made decisions that still haunt me. It’s a process, learning to give that guilt to the only One (Jesus) who can take it away. For some, they feel the weight of guilt disappear immediately; for people like me, I have to keep laying down the remnants of it at his feet every single day. Praying for you, David. May you find relief from your burden through Christ. Keep seeking Him, my friend. I’m sorry this response is late. I’m playing catch up. I’m also sorry for the PTSD you’ve been experiencing. I hope there has been some improvement. This is a raw post that I have no doubt will resonate with many. Thank you for your candidness and more importantly, for pointing us in the direction of HOPE found in JESUS. You are amazing! I’m always blessed by your writing. Please never doubt the gift God had given you, my friend. Thank you, Beckie! I totally understand about timing—you’ve got a lot on your plate. 😊 It brings a smile to my heart to see your Books reaching so many people who need the message of hope. This was an outstanding post, one I could have easily written myself. Well not easily because yours is undoubtedly better than anything I would do, but I can so relate to your message. Why do I always want more? It leads me to misery yet I fall for worldly striving all the time. Thanks for the reminder to be humble and thankful for all the enormous gifts God has given and will continue to provide me. Tricia, thank you for your candor and encouragement. 😊 You are so right—we fall for the tricks of wanting “more” even though we know it won’t satisfy. Thanks again for your comment! Elihu, this is really an awesome devotional! Thank you for sharing. I will think about which gifts of God I have deemed worthless and try to be thankful for everything I have!